Open Badges is Mozilla‘s open source answer for showing recognition of skills and competencies online. 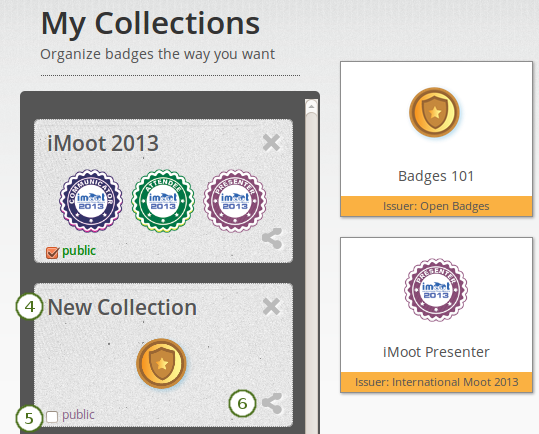 Moodle 2.5 became a badge issuer in May 2013 and Mahara will become a badge displayer in the future. Tick the check box public so others can see your badges. Save your changes. 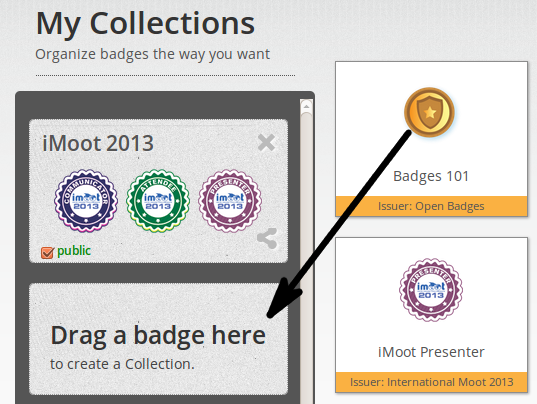 Your badge collection is now visible in your page.